Hey Anya! Can I borrow your necklace? Recently I was introduced to and pampered – BIG TIME – with some of the hottest and fabulous new products on the market today for busy new moms like us. All thanks to new friend and Hollywood stylist turned new mom Anya Sarre. Anya Sarre and Chudney Ross (owner of Santa Monica’s swanky little mommy-and-me enclave Books and Cookies… and also Diana Ross’ daughter!) recently hosted trendsetters, bloggers and VIPs to shop the latest and greatest in products, services, beauty and lifestyle. Yeah, it was pretty amazing. And much needed. Among receiving incredibly-rejuvenating oxygen sprays and skin tightening treatments from Beauty Park Medical Spa (maybe this is why I look younger these days? ), guests also relaxed with OPI mini-manis compliments of Nail Garden and liquor infused ice cream from Drunken Udder (helloooooo relaxation). Who’s that vixen in the purple dress? Books and Cookies owner – and new mom – Chudney Ross! 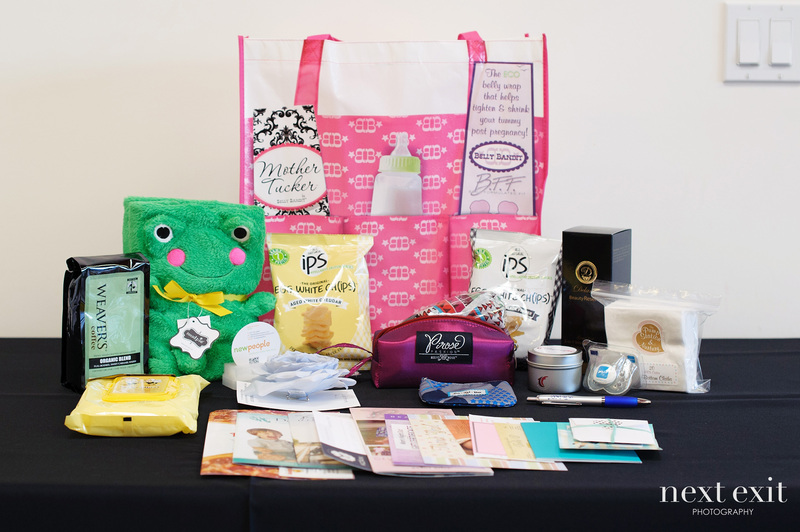 But some of my most personal FAVE showcases of the night were the products that improved my individual sense and spirit as a NEW mom. Take my word for it: The following newfound goodies will help your post-baby bounce back like a charm. Enjoy! Related: Fab Find! Chic chairs that repel spit-up & other bodily fluids. Therafit Shoes (created by Dr. Lisa Masterson of the hit talk show The Doctors) were there for the mom who wants to be comfortable yet trendy. Not only do they do good things (medically) for your back and legs, they’re available in a variety of eye-catching trendy colors. Of course, no one left without a VIP gift bag filled to the brim with treats… including animal towels from Mud Pie (I got a ducky one for my own LilMiss ducky), baby products from Bella B, bows from Katina Katoo, a generous sampling of the fabulous Delaney Wellness skin care line (which uses the extracts in grape seeds to produce potent age defying formulas) and a few bags of all natural Ips Chips (my personal fave… way to get your egg-white PROTEIN on the run and satisfy your crunchy-snack cravings). Most of all, the night confirmed my beliefs about the NEED to have alone time with YOURSELF to keep your fabulous self strong on the inside and outside. 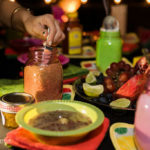 WHEN WAS THE LAST TIME YOU HAD A MOM’S NIGHT OUT? Is it spring yet? Fake yourself out with antioxidants. FIT+FAMOUS! 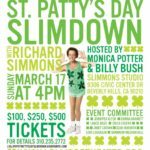 St. Patrick’s Day Slimdown with… RICHARD SIMMONS!